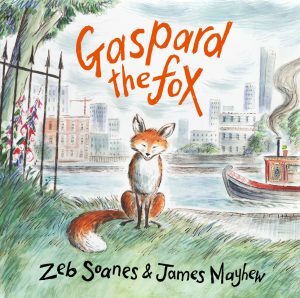 Come with Gaspard the Fox as he sets out one summer evening in search of supper. On his travels he meets Peter the cat and Finty the dog who help him navigate the local canal with its colourful boats and people – some friendlier than others! Zeb from Radio 4 and illustrator James, author of the Katie and Ella Bella Ballerina books, will take you on an adventure with many surprises on the way. Sunday 21 October 10.45 – 11.45 a.m.